How to hide questions and add private notes to a survey? With ProProfs, you can hide certain questions from your respondents and use them to record notes and comments. 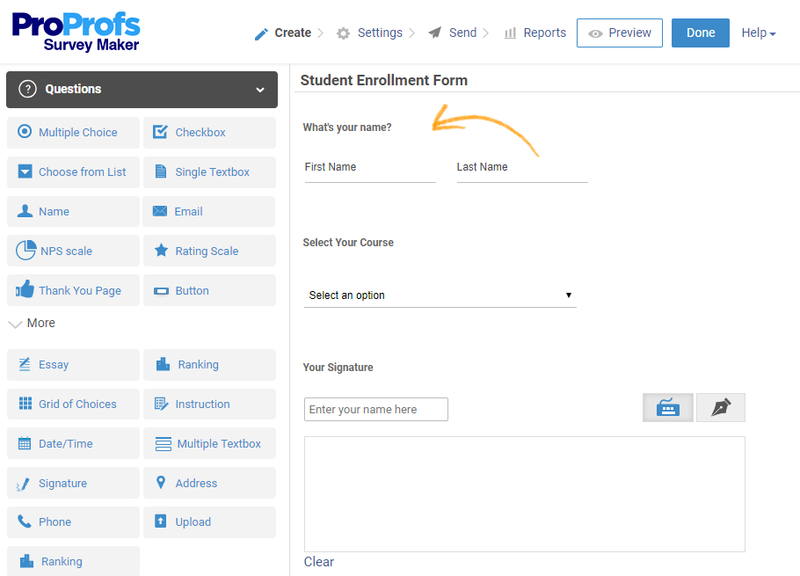 Administrators can add notes and a section for official use only to web forms and surveys. Hiding questions - You can hide certain questions from respondents, keeping them visible to only you or other admin users. 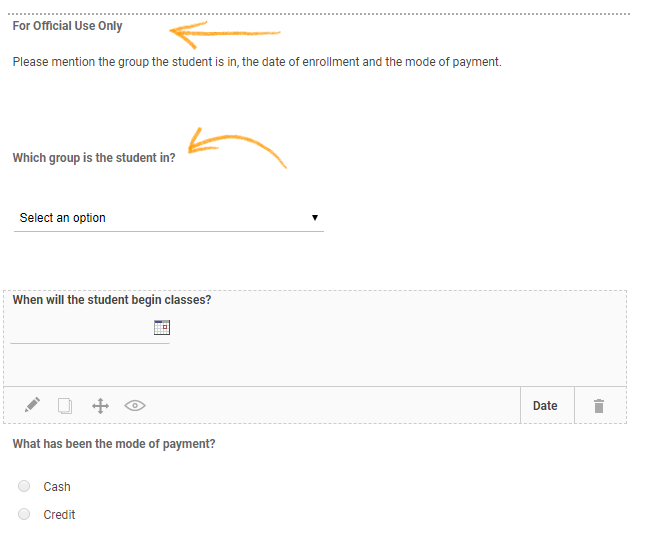 Adding responses or notes - You can add private notes or comments once respondents are done taking the survey by going to survey reports. Follow the steps below to learn how you can create a similar survey as the example above. Step 1. Add the questions you want to show to the student. Step 2. Similarly, add the questions you want to be hidden from the student. Add a section break and then add the three questions you want to hide from the student. Note* You have to turn the toggle button that says “Hidden” to "Yes" in the question box to enable this feature. Once respondents ("students" in the above example) are done taking the survey, you can add responses and comments by going to survey reports. Step 2. 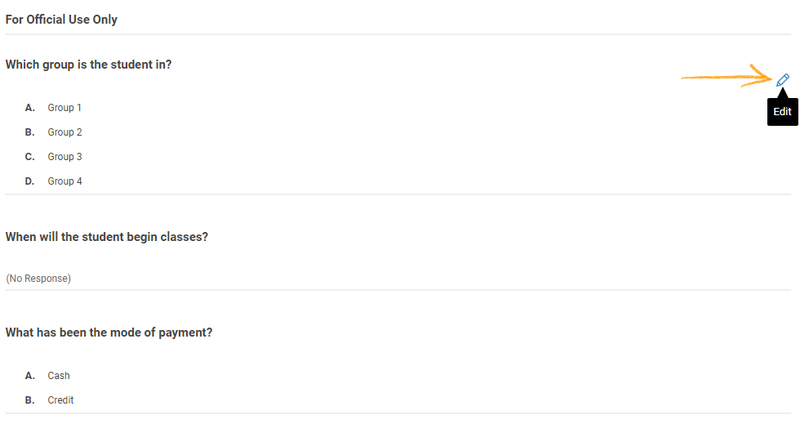 Go to a particular respondents report by clicking the View Response icon. Step 3. Add your comments, responses, and notes by clicking on "Edit." Hover the cursor over the far right side of the question to access the Edit button. Try out this feature. Create a survey now!